Good morning/afternoon/evening Magooshers! Mr. B here with another patented (not really) Advanced Placement (AP) Exam article. Today we’re talking AP Environmental Science. Like a cruise ship buffet, AP Environmental Science offers a little bit of everything: geology, chemistry, biology, and geography. It is a perfect AP course for students hoping to fulfill their future college’s science/lab requirement and move on to courses better suited to their interests. In AP Environmental Science, be prepared to sample a little bit of everything. Though not as math rigorous as AP Physics or AP Calculus, the AP Environmental Science Exam is far from easy. Less than 8% of test takers earn a 5, making the exam one of the most difficult of all the APs. 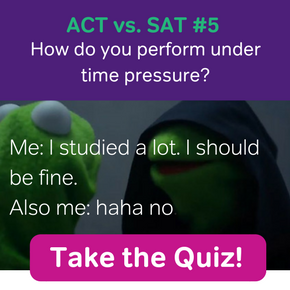 In this article, we’ll talk about the test, along with tricks you can use to do your best on test day! If you get to the end and still have questions, make sure to check out the official College Board website for AP Environmental Science. Note: This article accounts for all the changes made to the AP Environmental Science Exam during its last revision in Fall 2013. For students studying for the May 2017 exam, it is best to use study materials dated Spring 2014 or later. AP Environmental Science is based around seven big ideas, each comprised of many different topics. Below are the big ideas and a summary of some of the topics. In no way is this list a detailed study guide, just a peek at what you are likely to throughout in the course. Also indicated are the percentages indicating how much each big idea is represented on the AP Exam. To be successful in AP Environmental Science and the exam, the College Board recommends that you take Biology and Chemistry before starting the course. Besides learning about many important concepts, the lab component in these courses will prepare you for the in-depth labs present in AP Environmental Science. In this section, I will break down the length of the AP Environmental Science Exam, and offer suggestions on how to make sure you successfully finish each section of the test. I highly recommend that you take multiple timed practice tests to become used to the tests’ format, content, and pacing. 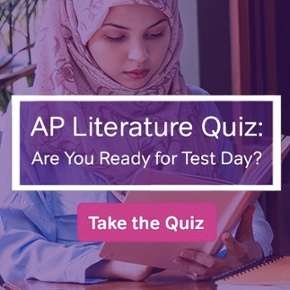 For students with a College Board account, a full-length test is available for you to take right now. First, take a look at my article on ACT Time Management. The same basic rules apply to the AP Environmental Science Exam’s multiple-choice section. You have exactly one minute and 54 seconds to answer each question. Fortunately for you, the AP Environmental Science Exam is graded the same way as the ACT. Only correct answers count. If you’re stuck on a question and 54 seconds have passed, it’s time to guess and move on. Now, I understand that it’s impossible to exactly time 54 seconds, especially when you have more important things to do like answer questions. There are ways to get around this. In short, check how many questions you have answered at the end of nine minutes. If you’ve answered 10 questions, you’re on track. Any less than that and I’d recommend more practice tests between now and test day to improve your time. Break is an important time during any AP Exam. But for a three-hour test like the AP Environmental Science Exam, you’re only at the halfway mark. Go to the bathroom, drink a little water, and don’t forget to eat something. You’re going to need some fuel to finish strong. Saying that there are four questions in Section II is a bit misleading. First of all, here is the breakdown of the types of questions you’ll see in Part II. At the beginning of Section II, first count all the tasks presents in the four questions. Divide 90 (the number of minutes you have) by the total number of tasks. Your answer is the time you have for each task. Though this process may use up one minute of your time, by figuring how much time you have per task, you can accurately keep on top of the clock. Section II Pro-Tip: If you’ve taken multiple timed practice tests, and are comfortable with time management, try to use the last 2-3 minutes to review what you wrote. Even if the correct answer is in your mind, the stress of the situation might cause you to leave out important information in your replies. If you have time to catch these mistakes, you can fix them. As the exam in its current form is three years old, the questions that appeared on previous years’ exams are still a valid way to prepare for test day. If your AP Environmental Science teacher is worth his or her salt, you will see old exam questions on just about all of your unit tests. The multiple-choice questions will test your Environmental Science knowledge in many different ways. Some questions will be ‘stand alone,’ while others will be grouped together around a data set or chart. Like when taking the ACT, when you encounter a group of questions, take a moment to read what the questions are asking before analyzing the data set or chart. One last thing about time management: If you’re comfortable with time management on other standardized tests, you should have little to no trouble with the AP Environmental Science Exam’s multiple-choice sections. Even so, remember my previous advice: if necessary, guess and move on. Like some of the questions on the Multiple Choice section, to answer the Free Response questions, you need to analyze data in the form of text, charts, or graphs, or graphics. 1-2 minutes: Plan out your reply. Time to read/brainstorm. Write relevant information in the margins of your test booklet. If you discover important information in the graphic or paragraph, mark it now. Remember that your graders are not looking for the next great American novel. The only thing that matters is that you a) answer the question and b) follow the directions. The College Board will release AP Environmental Science scores in early July. Yep, one day in the middle of summer you’ll get an email saying that your scores are ready on your College Board account. For those of you that earn a 5, there’s a chance that you earned some college credit. But there are some schools out there that award NO CREDIT for AP Environmental Science no matter how well you do. I know that sounds unfair, but it has a lot to do with the fact that AP Environmental Science is a survey of multiple scientific disciplines. With so many subjects involved in the course, it’s tough for colleges to determine which (if any) of their courses equals it. So many colleges, especially the competitive private ones, have simply dropped AP Environmental Science from their list of accepted AP courses. My Recommendation: Before signing up for AP Environmental Science, check out the AP score policies of the colleges to which you are considering applying. I would hate for you to excel in this course and have to take it all over again during your freshmen year of college. Note #1: Earth not to scale. Note #2: Earth does not spin this way. Finally, if you decide to take AP Environmental Science, be prepared for a challenging (but exciting) science course. Even if it is the last science class you ever take, you will walk away with a deeper appreciation of the natural world and your place in it. Are AP Tests Used in College Admissions?